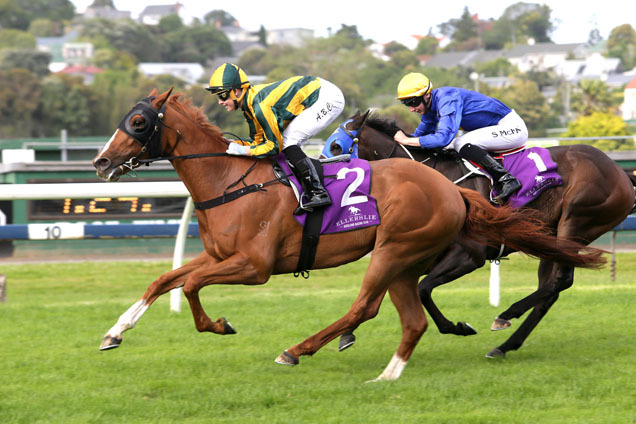 Top Prospect wins 2016 Trevor Eagle Memorial 3yo Listed NZ$50,000 at Ellerslie (NZ) 3yo, 1500m. Progressive and consistent Top Prospect , scored win three (in succession) from six starts in a clear cut victory here. With Alysha Collett aboard they got away from barrier ten on even terms with the field and settled midfield, about six lengths off the pace. Passing the 800m they moved forward and at the 600m were three wide yet travelling well. Into the home straight they had a clear view and went after the breakaway leader (Showpin) three lengths in arrears. At the 250m they raced passed the leader and kept going to the line for a good win, holding on comfortably by three quarters of a length. Barcelo was sixth (rails) at the 1000m, hugged the fence around the last corner and into the straight, then found some room, one off the fence at the 200m and finished well without looking to overhaul the winner. Creative Genius tracked Barcelo to the turn but had to go wide for his run and looked to have little chance but flew the last 150m to emerge through the pack to grab a very good third on the line. Race Synopsis: The Listed 3yo over the unusual trip of 1500m saw the best two performed runners in the field run the quinella unsurprisingly in a field that lacked depth. Top Prospect won his third race in a row today and showed another string to his bow in that he could sustain a long run to the line. The gelding was eighth on settling in a race that had a tearaway leader across the top but his rider did not hesitate to send him up fast and wide before the home turn to reach an ominous third. 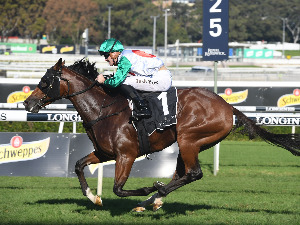 Top Prospect took the front at the 200m and was strong through the line to make his record now three wins and a placing from six starts with today being a first blacktype success. The runner up Barcelo ran a game second after beginning awkwardly and endding up sixth the inside when he is normally an on pacer. He ran on well once one-off the run home and his hopes of winning the event probably were gone the moment he did not end up in the first trio on settling. Creative Genius was warming up solidly the last bit for third after racing one spot ahead of the eventual winner. 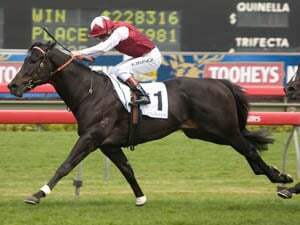 The way he grabbed the bit inside the final 100m augurs well for the rest of the season and this Australian bred gelding. O’Guy used up early energy after an average start to be in a speed duel before accepting a sit second once his stablemate went clear at the 800m. He was second still at the 200m and third even at the 50m before losing a dividend paying position the final 20m. 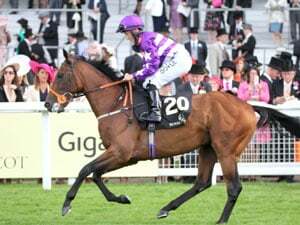 Excalibur, which started favourite as a maiden, ran another sound race and does find the line well but is still an equine sword being forged. He may need to get a soft kill maiden mile win then get back on the path towards chasing Stakes glory as he has the size and will to win. Secret Stash had every chance while Showpin after a sluggish start sped up onto a speed duel then went clear at the 800m and even more so across the top to the home. He had to shorten stride after being let run along from so far out as he did not have a breather from the outset. Avec Moi can be forgiven as she found some strife just inside the final 100m when not giving it away at the time. 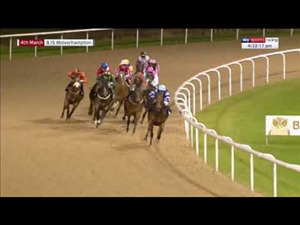 Wilijonmcbride was running on a tad late but the rest were battling or stopping the run home. This was not a strong field for depth at all and the first three home plus Excalibur and perhaps the filly Avec Moi would be the takeaway five from the race and result regarding progression for the rest of the season.